On the heels of their ambitious four-album set The Nomad Series, Toronto roots rockers Cowboy Junkies return with a collaborative rock opera that tells the story of the assassination of John F Kennedy through the eyes of a series of different characters. 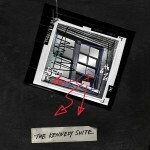 The record is a daring departure from what we have come to expect from the Cowboy Junkies but ultimately, The Kennedy Suite is a captivating listen thanks to the musical contributions of artists like Hawksley Workman, Sarah Harmer, The Skydiggers and the Good Family. If variety is the spice of life, the Cowboy Junkies are seasoned vets.